Rajya Sabha election 2018: Legislators from Uttar Pradesh, West Bengal, Karnataka, Jharkhand, Chhattisgarh and Telangana are voting today. New Delhi: The BJP emerged victorious after beating the super alliance of arch rivals SP and BSP in Uttar Pradesh in one of the most-awaited poll results. While Amit Shah beat Mayawati and Akhilesh Yadav, Anil Agarwal defeated BSP's Bhim Rao. The BJP won 9 seats while Samajwadi Party's Jaya Bachchan won one seat with 38 votes. 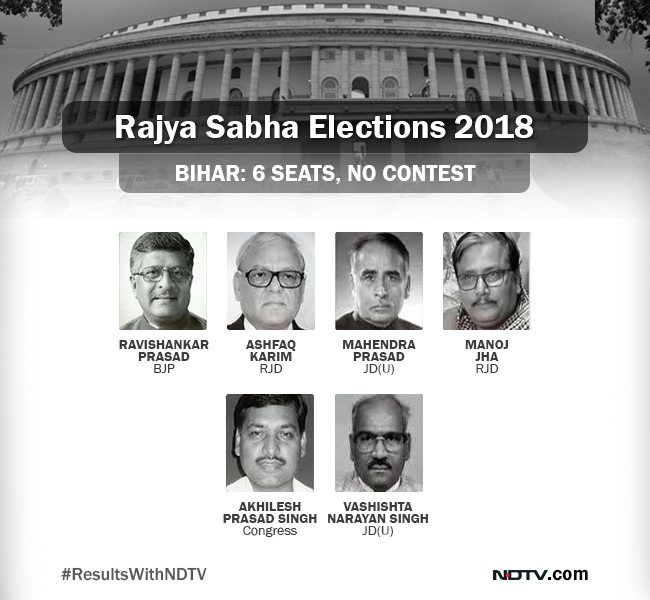 Counting for the Rajya Sabha elections 2018 took place in seven states today. For the 59 Rajya Sabha seats to be filled, 33 candidates from 10 states were declared elected unopposed. Results of West Bengal, Kerala, Chhattisgarh, Telangana, Karnataka, Jharkhand and Andhra Pradesh had already come in by the time the results for Uttar Pradesh were announced. While the Trinamool Congress won 4 seats in West Bengal, BJP's Saroj Pandey won a seat from Chhattisgarh. Seven union ministers including Ravi Shankar Prasad and Prakash Javadekar were elected unopposed last week. Counting of ballots will happen at 5 pm, an hour after voting ends. The counting of the votes have begun and is expected to take over an hour. After midnight drama, contentious Jharkhand seat goes to Congress. Dheeraj Sahu defeats BJP's Pradeep Santhalia. "The wise must learn from the bump and not fall in a ditch. We thank all leaders of our ally parties who have supported BJP candidates. I express my gratitude to all who have supported us. I thank Piyush Goyal ji who came down to advise us. 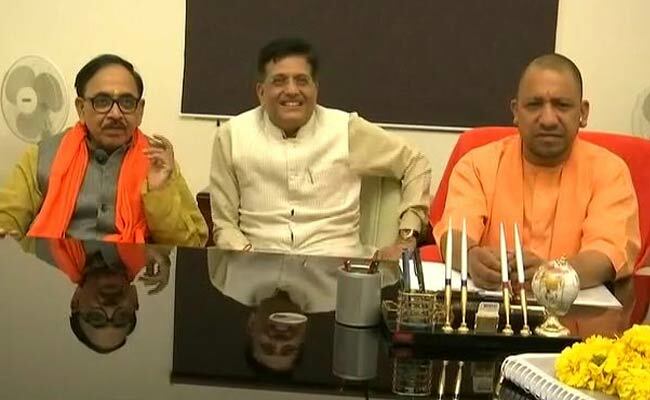 The state unit of BJP will take the campaign forward under the leadership of the Prime Minister and BJP National President," Yogi Adityanath said. 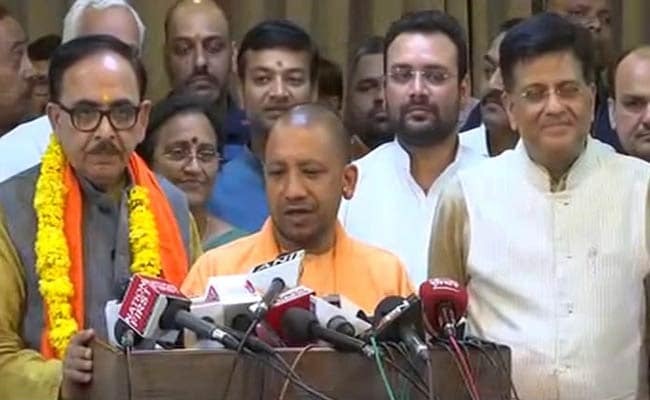 Yogi Adityanath congratulated all the BJP candidates of his party who won in the polls, while addressing the media today. "9 candidates of the BJP have won and I congratulate them from the heart. I also thank the union minister from the centre who came here to support us. People of the state have once again seen the opportunistic face of the Samajwadi Party. It can take from others but can't give back." Prime Minister Narendra Modi extended his wishes to all the winners of the Rajya Sabha polls, following the declaration of results. While Amit Shah beat Mayawati and Akhilesh Yadav, BJP's Anil Agarwal defeated BSP's Bhim Rao. 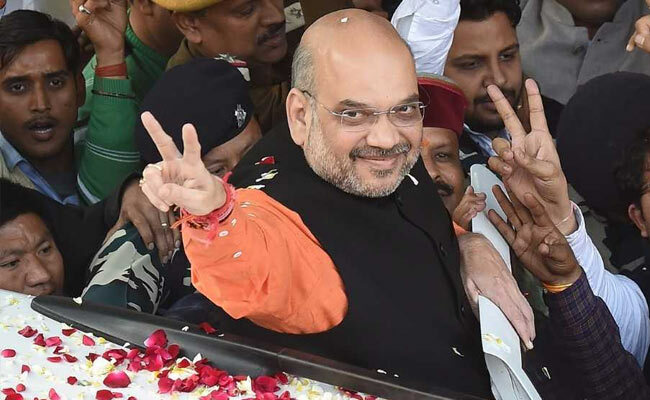 Amit Shah emerged victorious after beating the super alliance of arch rivals Mayawati-Akhilesh Yadav alliance in Uttar Pradesh in one of the most awaited poll results. The party won 9 seats while Samajwadi Party's Jaya Bachchan won one seat with 38 votes. BJP has won 8 seats in the Rajya Sabha polls in Uttar Pradesh while the Samajwadi Party's Jaya Bachchan won one seat with 38 votes. BSP candidate BR Ambedkar got 32 votes while BJP's ninth candidate Anil Agarwal got 21-22 votes of first preference. Counting of second preference votes is underway in Uttar Pradesh. 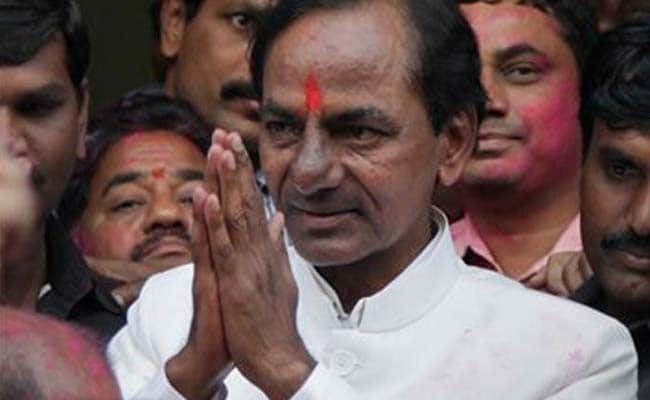 Telangana's ruling Telangana Rashtra Samithi (TRS) bagged all three Rajya Sabha seats for which polling was held on Friday. BJP national general secretary Saroj Pandey won the lone Rajya Sabha seat for which polling was held in Chhattisgarh today, defeating Congress rival Lekhram Sahu. 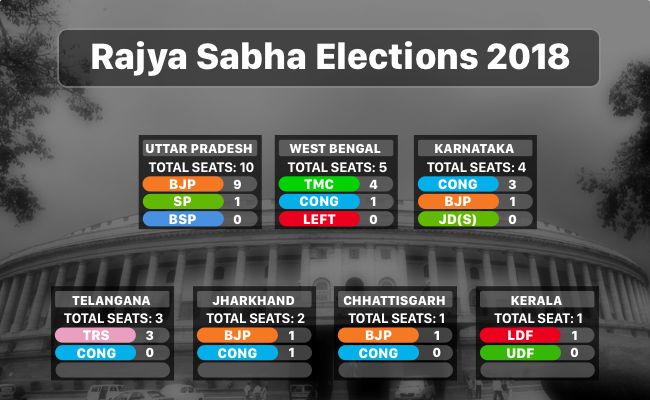 While the results for Telangana, West Bengal, Kerala, Chhattisgarh, Andhra Pradesh and Jharkhand are out, the Uttar Pradesh Rajya Sabha election 2018 verdict is yet to be announced. It is one of the most-awaited verdict as rivals Mayawati and Akhilesh Yadav have joined hands to give BJP a tough fight. The race for a single Rajya Sabha seat in Uttar Pradesh became a thriller on Friday as Mayawati faced the manoeuvrers of a BJP out for revenge after she helped the Samajwadi Party (SP) win two of its safest parliamentary seats just days ago. Congress candidate Dheeraj Sahu won in Jharkhand after defeating BJP's second candidate Pradeep Santhalia. However, the party's first candidate Sameer Oraoan won. The Election Commission has rejected the complaint against Jharkhand Vikas Morcha MLA Prakash Ram after reviewing the video. The Congress has alleged that he did not show his ballot paper to the party's authorised representative after casting his vote. The ruling Telangana Rashtra Samithi or TRS has bagged all three seats in Rajya Sabha election 2018 in the state. B Prakash, J Santosh Kumar and AB Lingaiah Yadav were elected to the Upper House. Congress candidate and former union minister P Balram Naik was defeated. A total of 108 members of the assembly voted. Mr Prakash secured 33 votes while Santosh Kumar and Mr Yadav polled 32 votes each. The Congress candidate got only 10 votes as independent member D Prakash Reddy's vote was declared invalid by the Election Commission. There are 11 candidates for the 10 Rajya Sabha seats and 37 first preference votes are needed for each seat. The BJP has enough lawmakers to win eight seats comfortably and the Samajwadi Party has enough to win one. The BJP is trying to win a ninth seat, challenging Mayawati. Mamata Banerjee flashes victory sign after the declaration of the Rajya Sabha election 2018 results in West Bengal. Four of the Trinamool Congress' candidates won in the polls, the results for which were announced today evening. While Congress' Abhishek Manu Singhvi won a seat as well, CPM suffered a defeat in the polls. Counting of votes for Rajya Sabha polls begins in Karnataka. Karnataka Chief Minister Siddaramaiah had earlier said today that he was confident of the Congress winning all the three seats. Following his win in the Rajya Sabha election 2018 from West Bengal, Congress's Abhishek Manu Singhvi said that it was humbling and uplifting and "it is a result of cooperation between different groups and MLAs." Yesterday, Mr Singhvi had said that CPM's allegations of inconsistency in his age mentioned in the affidavits for the coming polls, as malicious and unfounded and alleged that they are demanding to scrap his candidature, to avoid obvious defeat. Mr Singhvi said CPM is baselessly referring to a 2006 age declaration form with a "typographical error" that has no significance in 2018. Trinamool Congress candidate Subhasish Chakraborty, who won the Rajya Sabha election today, said that he believed in democracy and that his priority would be to fight against corruption. "I do believe in democracy. My priority will be to fight against corruption," said Mr Chakraborty, after the results were declared. The state president of the Janata Dal United Sharad Yadav faction, M P Veerendra Kumar, was today elected to the Rajya Sabha from Kerala. Mr Kumar, supported by the ruling CPI(M)-led LDF, polled 89 votes, while B Babu Prasad the opposition UDF candidate got 40 votes in the election held to one seat from the state mnews agency PTI reported. The election was held after the seat fell vacant when Mr Kumar resigned from the upper house of parliament as a mark of protest against JDU leader and Bihar Chief Minister Nitish Kumar joining hands with BJP-led NDA. In the 140-member assembly, the LDF has 90 MLAs while the UDF 41 legislators. One vote of the LDF supported candidate was declared invalid. Counting of votes for Rajya Sabha elections 2018 in Uttar Pradesh began after clearance from the Election Commission. The counting had been stopped in Uttar Pradesh after complaints by Samajwadi Party, BSP against lawmakers who cross-voted. The parties say that those who cross-voted did not disclose their ballots to the counting agents of the respective parties which is the norm. TDP leader CM Ramesh unanimously elected to Rajya Sabha consecutively. The ruling Telugu Desam Party announced its decision to field Mr Ramesh and K Ravindra Kumar for two of the three Rajya Sabha seats from Andhra Pradesh. Initially, the TDP was planning to field candidates for the three Rajya Sabha seats which will fall vacant on April 2. All four candidates of the Trinamool Congress won in the Rajya Sabha polls with 50 votes while Congress' Abhishek Manu Singhvi won by 43 votes while CPM's Robin Dev lost after scoring 30 votes. After the Election Commission of India or ECI received a complaint by the All India Congress Committee over Jharkhand Vikas Morcha Prakash Ram, who cross- voted, the Commission said "further view will be taken after receiving Returning Officer's report". BJP will win under the leadership of PM Modi and Amit Shah, party candidate Saroj Pandey, who won the Rajya Sabha seat from Chhattisgarh told news agency ANI. Chhattisgarh Chief Minister Raman Singh congratulated Saroj Pandey for her win in the Rajya Sabha election. "BJP got more votes this time. I thank all the MLAs and congratulate Saroj Pandey. We've got a good candidate to represent the state," Mr Singh said. BJP's Saroj Pandey was contesting against Congress' Lekhram Sahu. 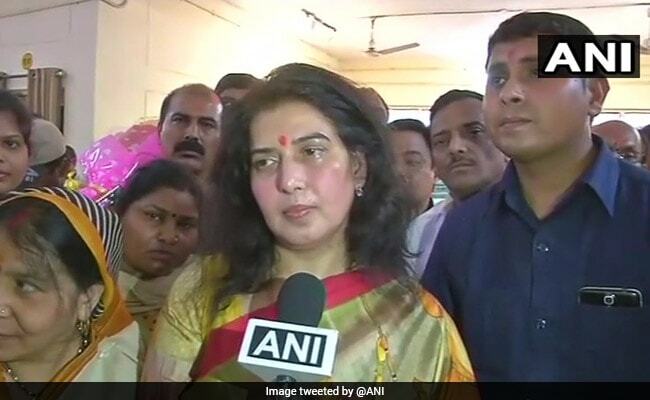 BJP's Saroj Pandey wins Rajya Sabha Election from Chhattisgarh after beating Congress' Lekhram Sahu. While the BJP got 51 votes, Congress won 36. The BJP in the state congratulated Ms Pandey on winning the seat. "Congratulations on becoming a Rajya Sabha member" the party posted on Twitter. Finance Minister Arun Jaitley nominated to the Rajya Sabha. Jaitley, who is currently a Rajya Sabha MP from Gujarat where he was elected in april 2012, is now contesting from Uttar Pradesh where the BJP is sure of winning 8 seats . 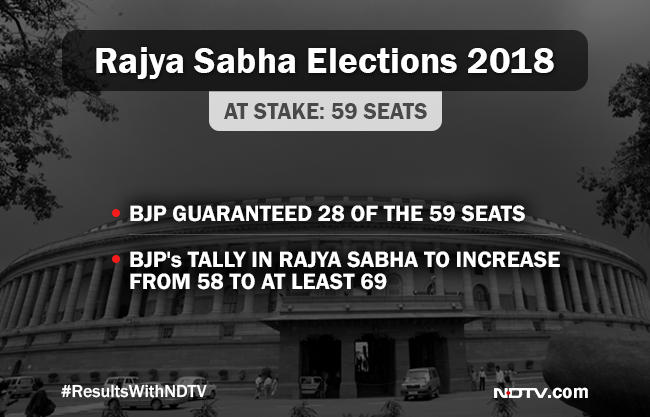 The declaration of results is the Rajya Sabha polls are expected to take an hour. The Janata Dal-Secular has said that two Congress legislators were allowed to vote for a second time after they initially cross-voted. 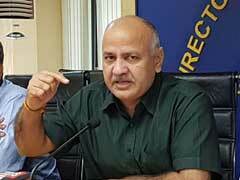 "Election officers are working like ruling party's (Congress) agents. Two senior Congress MLAs - Kagodu Thimmappa and Baburao Chinchansur - cross -voted and were given ballot again by the returning officer to cast their votes for their nominated candidate," JD-S state president HD Kumaraswamy said in Bengaluru. Five candidates, including three from the Congress and one each from opposition Bharatiya Janata Party or BJP and the JDS are in the fray for four Upper House seats from the state. The All India Congress Committee or AICC has given a memorandum to the Election Commission requesting it to issue directions to the concerned Returning Officer to cancel vote cast by Jharkhand Vikas Morcha MLA Prakash Ram alleging he intentionally didn't show ballot paper and concealed the marked column. 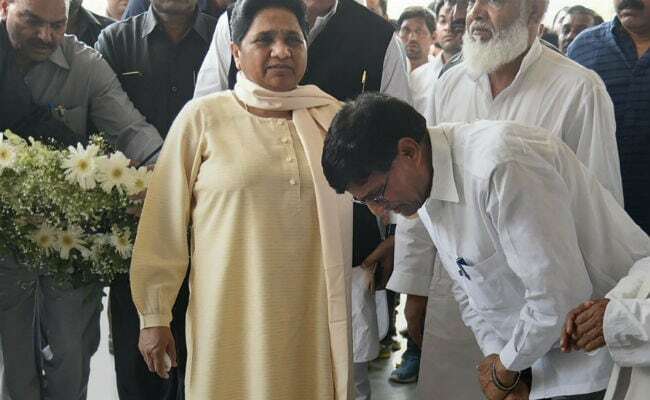 In a twist worthy of the unpredictable politics of Uttar Pradesh, Mayawatis struggle for a lone Rajya Sabha seat hinges on Raja Bhaiyya, a man she had jailed under an anti-terror law when she was chief minister. After BJP candidate Saroj Pandey's agent accused Congress MLA Anil Bhediya of disclosing her vote and violating election norms, Ms Bhediya denied all such charges saying the allegations were baseless. "I have used my vote as per rules. I have not disclosed my vote. The allegations are baseless," she said. Uttar Pradesh, the country's most populous state sends 31 members to the 245-member Rajya Sabha, and the BJP, which won a massive victory in the 2017 Assembly elections, is yet to get a lion's share of these. Today, when voting started, two senior Congress leaders - one minister Kagodu Thimmappa - cross-voted and showed that they are agents. Returning Officer allowed them fresh vote on fresh ballot paper. We protest this and want EC to countermand process. They wanted to vote against Congress for their conscience. But Returning Officer colluded with the government. 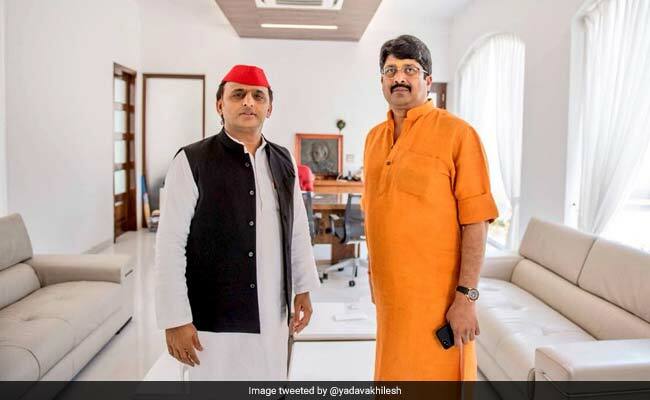 Akhilesh Yadav tweets a photo with Raja Bhaiya who said he is voting the Samajvadi Party. 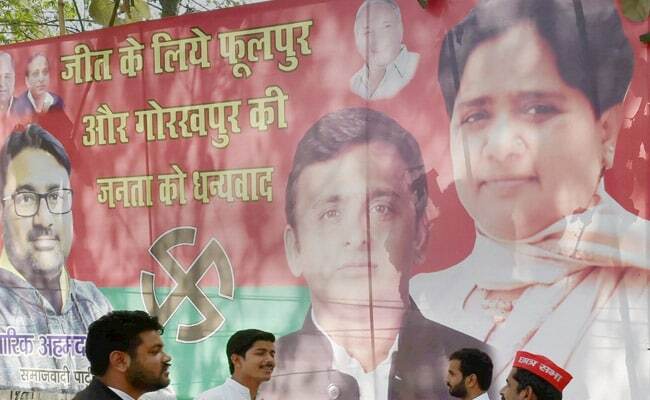 "Thank you for supporting Samajwadi Party," he wrote. Raghuraj Pratap Singh alias Raja Bhaiya, an Independent MLA, who was cabinet minister in Akhilesh's regime addressed the media. He said, "My vote is with Akhilesh ji". Election to the five Rajya Sabha seats in West Bengal from the state was necessitated after the terms of Kunal Ghosh, Bibek Gupta and Nadimul Haque of the TMC and Tapan Sen of CPI(M) will end on April 2. The Trinamool Congress (TMC), which has fielded four candidates--Nadimul Haque, who was renominated, Subhasish Chakraborty, Abir Biswas and Santunu Sen -- has announced its support to Congress' Singhvi for the fifth seat. In Uttar Pradesh, two jailed lawmakers - one each from the SP and BSP - who would have voted for the BSP candidate, are out for the count. Two independent candidates are likely to vote for the BSP candidate. "There will be no cross-voting, but yes, BJP MLAs will cross-vote in our favour," Samajwadi Party leader Ram Gopal Yadav told ANI. All the nine candidates of BJP will win. Samajwadi Party insulted their worker and people will answer them for choosing a candidate that entertains the society rather than one who serves the society: BJP leader Nitin Agrawal. He is the son of Naresh Agrawal, who joined the BJP recently. Rajya Sabha Elections 2018: While the voting began at 9 am, the Congress issued a three-line whip to all its Rajya Sabha lawmakers last night, asking them to be present in the House at 11 am today in full strength and support the party's stand. It's a matter of prestige of the Congress in Karnataka considering it is heading to state elections soon. 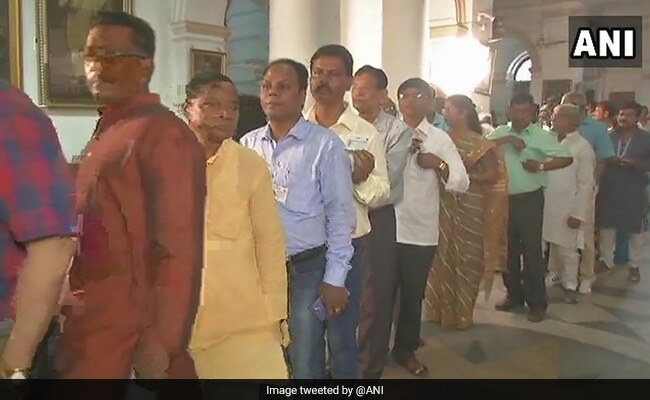 Legislators queue up at the West Bengal assembly in Kolkata to vote ihe Rajya Sabha elections 2018. There are six candidates for the five Rajya Sabha seats from the state. Chief Minister Mamata Banerjee's Trinamool Congress has fielded four nominees and also pledged its surplus votes to Congress's Abhishek Manu Singhvi. The Trinamool and the Congress are set to win, with the Left fighting a token contest. In Uttar Pradesh, all the 7 Congress legislators have voted for the BSP candidate. Bengaluru: Senior BJP leaders Prakash Javadekar, BS Yeddyurappa and party's Rajya Sabha candidate Rajeev Chandrashekar at the party office in Vidhan Soudha, earlier this morning. In Karnataka, where the state elections will be held in less than two months, the ruling Congress has fielded three candidates for four seats but has enough to win two. The BJP has enough to send one candidate, Rajeev Chandrashekhar. With 32 extra votes, the Congress is hoping to win a third seat with help from rebel lawmakers of the Janata Dal (Secular). The voting in the Rajya Sabha election has begun. Contests will be held in Uttar Pradesh, West Bengal, Karnataka, Jharkhand, Chhattisgarh, Kerala and Telangana. Voting will be held in seven states today to fill 26 of 59 Rajya Sabha seats falling vacant; 33 candidates have been elected unopposed. The BJP is expected to gain about a dozen seats in the Upper House and consolidate its position as the largest party, but it is far from a majority in the 245-member House.